There are endless environmental and macro factors that can come to bear on the gold price. As we get positioned and wait for one of the many systemic cracks to start the leak that will break the dam, we don't need for that to happen for gold to perform in the interim. 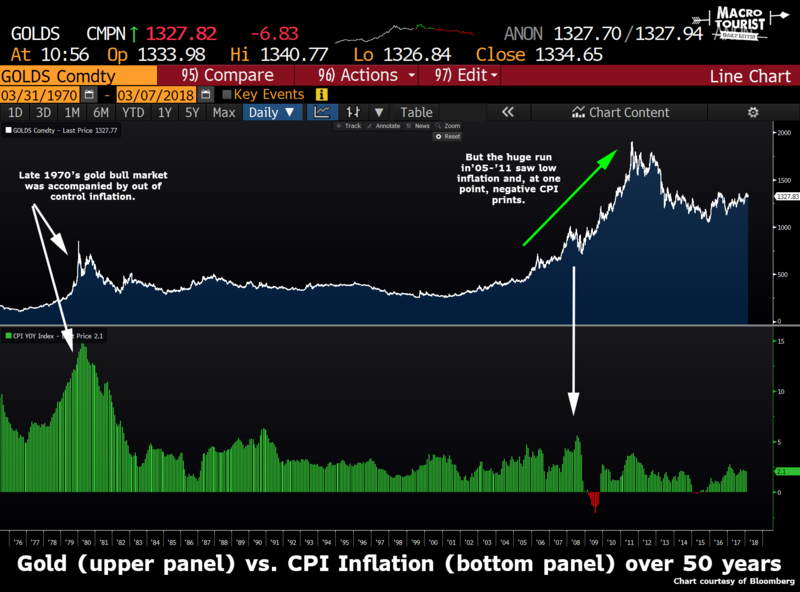 Inflation is just one part of the puzzle for gold. The other important piece is the nominal interest rate. In the 1970’s, inflation was running at 10% or even higher. But for a while, interest rates were lower than the inflation rate. The real yield was therefore negative. In this environment, gold provided an attractive alternative to holding cash and other fixed-income instruments that were suffering from financial repression. After all, gold is also a currency. Yet the real benefit is that it is no one’s liability. In the 2000s, inflation was low, but interest rates were even lower, creating one of the greatest precious metals bull markets of all time.